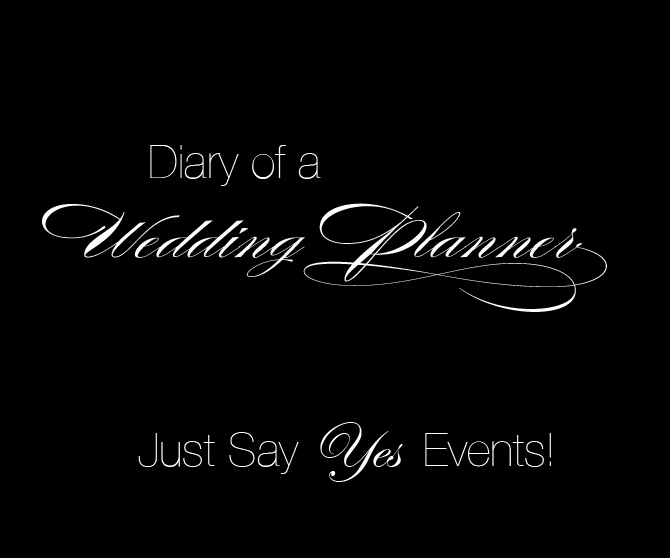 Just Say Yes Events: Europe as a honeymoon destination. Last June my fiancee and I had the chance to travel abroad for almost three weeks. It was a trip that we will remember for the rest of our lives. I was recently chatting with a bride and she asked about honeymoon destinations. Now I am not the type of person that can just go on vacation and lay on a beach for 14 days, I really wish I could. I do not know if its the constant working and planning that I do or my inability to relax, either way my trips are very planned! In June we traveled over eight hours to begin on vacation in London, England. Once we arrived we checked into our hotel, dropped our luggage, showered and ran out!! I wasn't sure what to expect from London but we were open and ready for anything. I am such a nerd and took about 500 pictures of the bright red phone booths, I just couldn't help myself. London has so much to offer from great musicals, worlds largest Ferris wheel (London Eye), museums, Buckingham Palace, Big Ben, Tower of London and lets not forget all the open air markets. I hope you consider London as a possible honeymoon destination! Its untraditional but I guarantee awesome. Our next destination was Paris and I personally was ecstatic to finally have the chance to visit the city of romance. We took a train from London into Paris and it took about 2 hours, no time at all considering we took a nap. The train was very roomy there was even had a small table in between us and our neighboring travelers. Its nice to be put into such close quarters with people, you chat and learn so much about the locals or other travelers. Once we arrived in Paris we immediately selected a museum to visit....and the winner was Musee d'orsay. We had such a great time in Paris visiting amazing places such as the Louvre. The Louvre is such a massive museum it would take days to see every single thing. There is something so amazing about being able to see such great masterpieces such as the Mona Lisa & the winged victory. There is one thing that I have always wanted see since I was a very small child, The Eiffel Tower! I couldn't get enough of it and my fiancee Daniel was so awesome and took me to see it about 3 times. Each day we discovered something new about the Eiffel Tower from the view all the way from the top to the twinkling lights at midnight. Its such a magical place with the couples walking hand in hand, sitting under a tree kissing or just taking in the gorgeous gardens surrounding the Eiffel. Daniel gave me a red rose on our anniversary while visiting the Eiffel and I had no vase but didn't want my precious little rose to die!! I placed it in a plastic water bottle and that's where it lived until we left Paris. That trip I completely fell in love with Paris and hope to one day have the privilege to live there. I joke all the time with my family that I will retire to Paris! Paris is the ultimate honeymoon destination exuding love, romance and an old world feel that no other place on earth possesses. The next part of our trip is rather interesting! Daniel and I have always been the adventurous type. We love vacations that people normally wouldn't think of or do. When we were done with our trip to Paris we traveled to the Charles de Gaulle airport to pick up a rental car. After about two hours we finally had our car, you see there are certain requirements that are needed to drive in-between countries and we would be returning the car in Rome. Europe has special emissions that are needed which makes it difficult because the car has to pass all test required for all countries being visited. We finally had a car!!! which was a great relief as our returning tickets were out of the Leonardo da Vinci - Fiumicino. We drove just 30 minutes from Paris to Versailles, France. Versailles is the most quaint and charming town with a famous Chateau. Now when I say the town is charming it is..... Chateau Versailles IS NOT! It is massive and gold gilded with extremely ornate architecture. It was just a day trip because we wanted to head down to the south of France. Chateau Versailles is massive and jaw dropping gorgeous. The chateau was once occupied by Marie Antoinette, she was an Archduchess of Austria and the Queen of France and Navarre. She was also the fifteenth and penultimate child of Empress Maria Theresa and Emperor Francis I. If you do not know the story of Marie Antoinette, I highly suggest doing a little research. The story is absolutely amazing! After our trip to the Chateu Versaille we got lost!! Yes, that's right lost. Daniel and I are very good about no bickering or stressing while on vacations. We have a great trait and that is to work as a team. In that instant you have to remain calm and just ask locals, check the maps or google!! We found our way and decided to drive through the night towards the South of France. We drove a few hours stopped and fell asleep in the car at a rest stop. This is when we discovered "Auto Grill" which is now one of my favorite places! I know what your thinking, that's ridiculous its a REST STOP! No no....not auto grill, they are very nice places with wonderful coffees and freshly made sandwiches. We stopped at Auto grilles frequently for the duration of our trip! We made it to Marseille in the early afternoon. Prior to booking this trip I researched every single place we would be staying and made sure we weren't missing anything. Marseille is basically a port town that is very laid back and casual. My fiancee fell in Love with Marseille and we will be going back for our honeymoon!! We booked a room at the "New Hotel Marseille" which we will be staying at this time as-well. The hotel has a very modern and youthful feel to it. Marseille itself is such a wonderful place, turquoise water, amazing seafood, gorgeous sunsets and once the sun goes down its a party town! All the locals come out and sit on the terraces drinking wine and chatting with friends. Our favorite restaurant was called Peron, Its situated literally on the shore hovering over the waves! the terrace has a retractable sunroof and is adjusted to block the sun and still let you enjoy the breathtaking views. Marseille also has boat trips, scuba diving, museums etc its the perfect place to have some R&R and fun! After our visit with Marseille began what we called our "Tour di Riviera"....We began of course in Marseille and drove down the coast to Toulon, St. Tropez, Cannes, Nice and finally Monaco. We stopped in each enjoyed the sites, food, beaches & shopping! I have to say my favorite beaches were in Cannes, stunning. Monaco was last on our tour of the Riviera and was just amazing, as we drove the towns just got better and better. We finally left France and entered Italy!! "Italia".......Next up! We drove into Genoa, Italy. It is another port town and where Christopher Columbus sailed from, little tidbit of knowledge for you. After Genoa we drove to Venice, now I was bursting at the seams to arrive in Venice and kept asking, "Are we there yet?" Venice is one of those places you read about and see photos of but when you are there you realize what it was exactly that the artist painting those famous pieces was inspired by. Venice has the power to inspire anyone in just one glance. As your strolling through the streets you see the carnivale masks, open markets, musicians playing music, gondoliers offering romantic rides. Venice is like no other, where streets are canals and and the building tell stories by just their presence. You can see the influences from all over even Morocco and its very interesting. So of course we had amazing al fresco dinners, gondola rides, brought back a gorgeous mask & walked away with priceless memories.We honestly didn't want to leave but well had to move on to the next destination, Florence. Florence was one of our day trips since we only had a few things we wanted to see there. One of course was the David another was the Duomo. Florence definitely has that old world look and feel and some locals still live by the old ways. It is also a very small town and can be walked very easily. We parked our car and left it there all day and just wandered around the winding streets. We decided that we would have a very nice dinner being that we would be getting back on the road so we stopped off at Buca Di Mario. We did not know till we returned that we had randomly chosen the best steakhouse in all of Florence. They were extremely friendly there and the owner herself gave us a box of biscotti to take away. Buca Di Mario has an ancient characteristic environment, it has stayed unaltered in time. Furthermore, it is protected by specific rules imposed by the Florentine Council: any structural change that can alter its peculiar style is not allowed. Once we left Florence we drove through all kinds of wonderful places. Driving through small towns where the population is about 150 is just amazing! We had the chance to see Arezzo, Montepulciano, Orvieto and many more! We arrived in Rome in the evening and well got lost! we ended up circling the Colosseum about 50 times until we finally found a local that could point us in the right direction. The hotel we chose was just five minutes walking distance away from the Vatican. We took one day and just slept the entire day, we were just so tired but excited to be in Rome. The following few days we ventured out and visited the Colosseum, Royal Forum, Trevi Fountain, Spanish Steps and much more! We also went on a half day tour of the Vatican, which is a confusing and massive place! I highly recommend going on a tour so that you don't miss anything. Walking into the Sistine Chapel will give you the chills, to see Michelangelo's masterpiece so up close is just mind blowing. The detail completely boggles the mind how one man could achieve such greatness within four short years. Sadly, this is where our dream vacation ended. We gathered all our gifts packed our bags and headed home with memories we will treasure forever and full of new knowledge from amazing museums, a new take on food and a love for the casual way of European life. So lay out the map and think of an untraditional honeymoon destination that you will remember for years to come. Daniel and I will be honeymooning in Spain, South of France & Morocco. Enjoy our photographs from Europe!